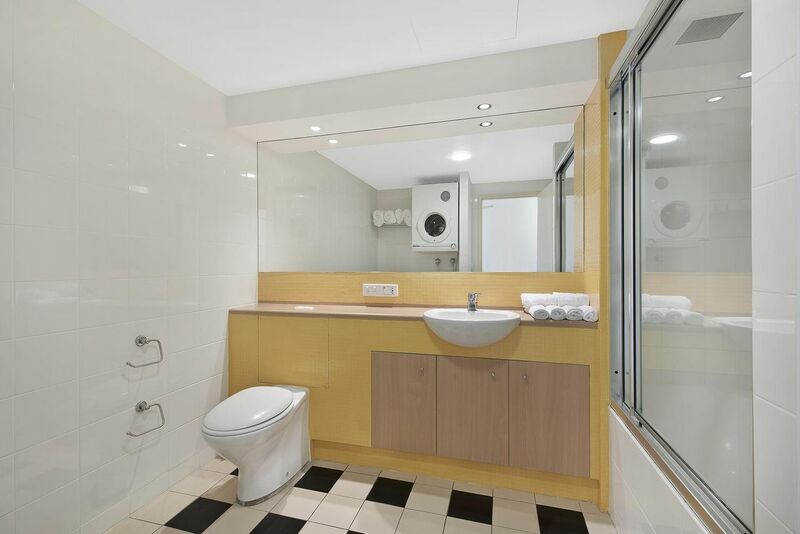 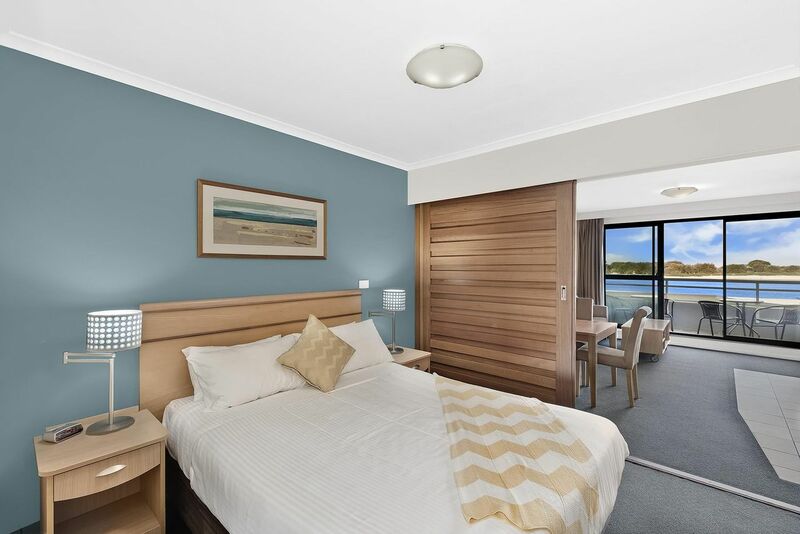 Beautifully presented 1 bedroom apartment in The Oaks Waterfront Resort. 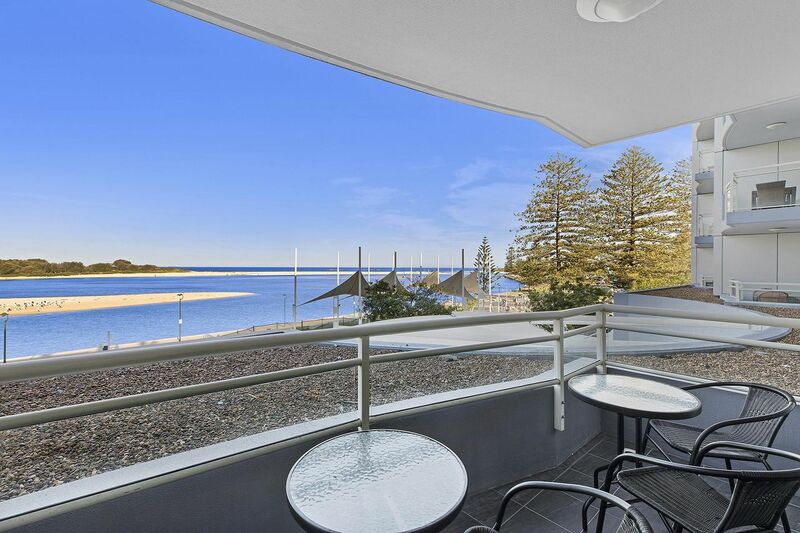 Beautifully presented 1 bedroom apartment in The Oaks Waterfront Resort. 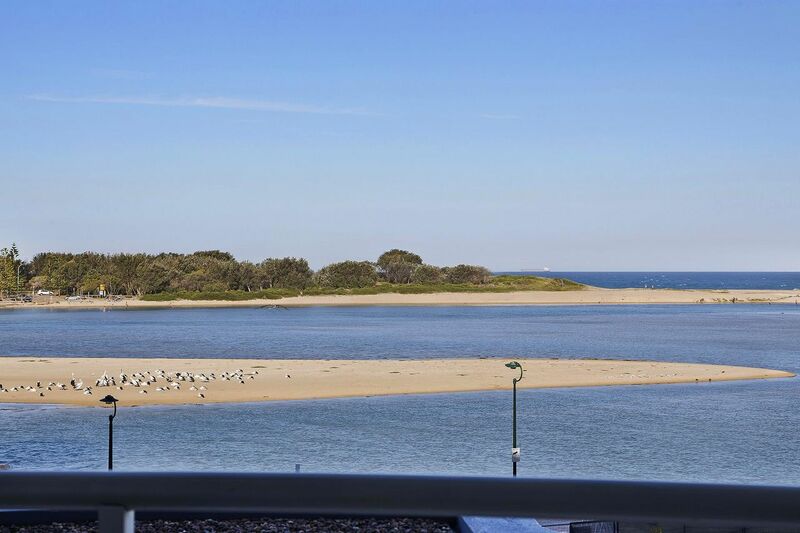 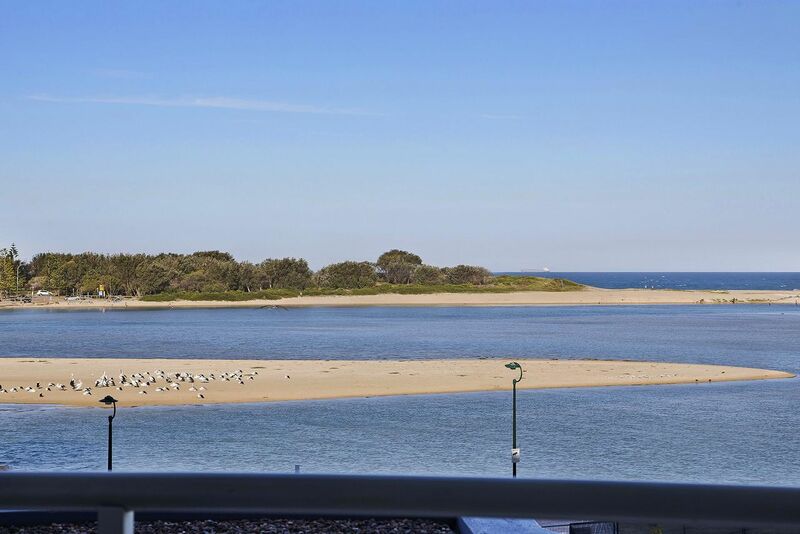 Great central location on the foreshore with close proximity to the shops, restuarants, beaches and waterfront. This apartment has a queen size bed in the bedroom and a sofa bed in the lounge. 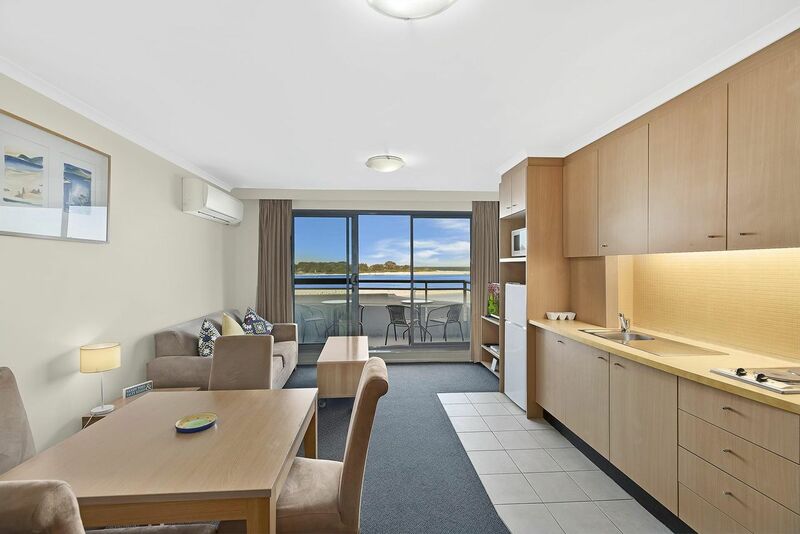 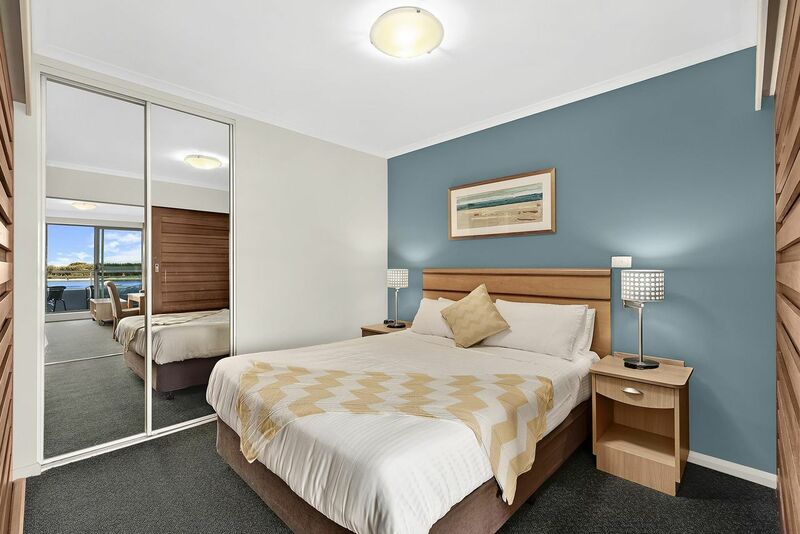 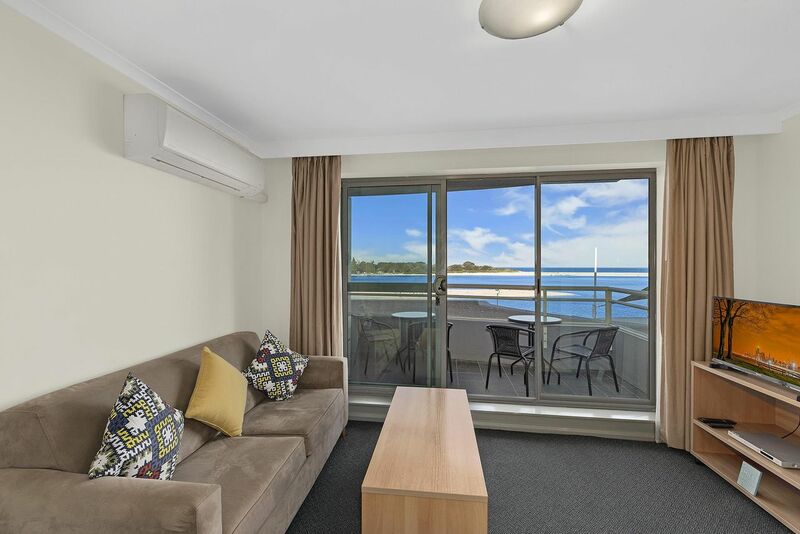 Features a balcony with glorious water views, kitchenette, separate bedroom and laundry facilities.